Professional experience: Kaloyan (Kofe) is a certified mountain leader since 2016, works with large groups as well as with individual clients, English speaking. 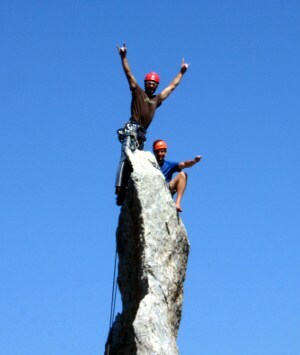 Keen on alpine rock climbs, extreme ski descents and mountain trail running. 2014 – French Alps – Mont Blanc (4807m) – skiing from top. 2017 – mountain ultra marathon StaRa Planina 100×24 in 10h16min – second best time of the route. 2018 – the first man to complete the Bulgarian parts of the transeuropean hiking trails – E3, E4 and E8 in less than one month (26 days, 1300km, 46000m D+, 48000m D-). Interests: extreme skiing, alpine climbing, trail running, landscape photography, traditional woodworking. 2001 – Driving license, active driver. Kofe- I would like to thank you for your attentiveness and for making sure that I had such a memorable and enjoyable day. You are obviously very very fit and did not seem to mind at all that I could only go at a walking pace. Your knowledge ensures for a very informative experience and you have made me aware of the endless possibilities for trail running adventures. The fact that you know the area so well has made it a stress free day by not having to worry about navigating an unknown area. I cannot thank you enough. (And all of this in fluent English). Next time I will do a trail run. We had a wonderful and quality time with kaloyan. Lyuben Grancharov arrange us to have a 2 days hike with Kaloyan. On the first day we went to Malyovitsa peak in the Rila mountains. Kaloyan as very patient and was attentive to our needs. He had interesting explanations about the area and his knowledge in Geology contribute to the hike. On the second day we went to Rhodop Mountains. We plan to have a hike to Svety Lya – Eagle Eye Peak. When we arrived the area there was rain, so Kaloyan took us to Yagodina Cave even though that it was not the plan we agreed on. After the cave we drove to Yagodina village to start the hike. In the middle of the hike a dangerous thunders & electrical strikes started and we were caught under them. Kaloyan did not lose control, and with cool self-control led us to a forest that we will be protected under the trees. After 1 hour we continue to the destination as nothing happened. We highly recommend to take Kaloyan as a hiking guy tour, he is the BEST. We also want to specify a favor to Lyuben Grancharov that answer all our questions before with a lot of patient, and also built for us a driving route for the rest of the days that we visited Bulgaria free of charge. We went to Bulgaria for a 7 day’s skitouring trip through the montains of Pirin and Rila.Kaloyan developed a great program far away from the “strandards” for us as advanced skitouring montaineers. We did a lot of great ski descents and got a feeling for the impressive Bulgarian nature in the mountains.The knowledge of Kaloyan about the geological aspects of the montains were very interesting for us.We felt us very comfortable during our trip and he took care about our personal needs and wishes.We can definitely recommend skitouring with Kaloyan as a guide – We had quite a funny and good time with him! I spent the most exciting ski touring week in Rila nad Pirin mountains. A lot of snow, fresh snow, powder. Some challenging conditions and cold winter conditions were in a good contrast to warm us in the hot springs. Kofe is an excellent guide and I enjoyed his company very much. Perfect organization and logistics.